I have a special Christmas shopping open day on the 14th December at my workshop at Fusion, Jackfield. Spend more than £20 and get 10% discount, plus a little tipple of mulled wine and a mince pie – you can’t say fairer than that! 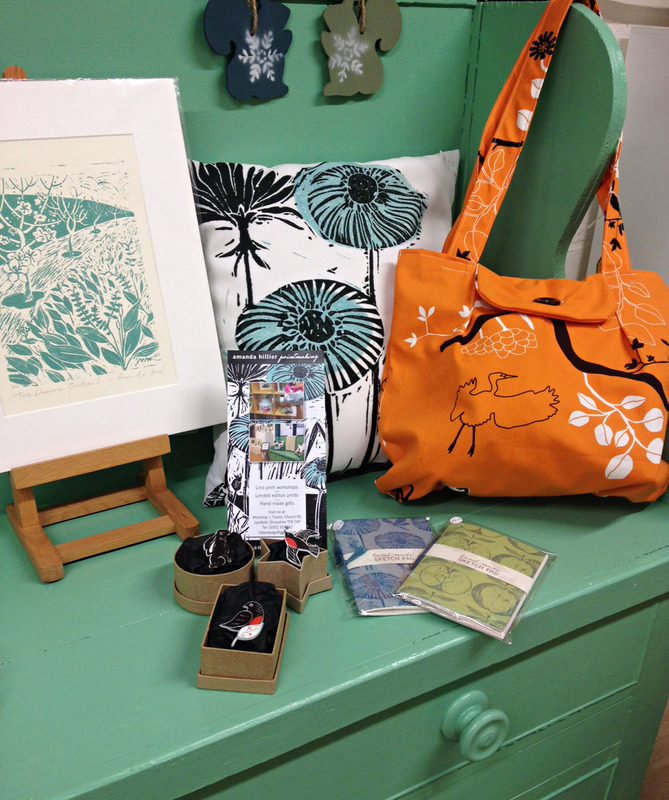 I’ve been printing like crazy, making notepads, cards, cushions, brooches & decorations so come and have a look. Fusion is also home to Kinki Glass and Elemental Arts who also have discounts available on the 14th. Hope to see you then!